We have been proudly serving the greater Tampa Bay area and the local Carrollwood, North Tampa, West Chase, Odessa, North Dale communities since 1988. 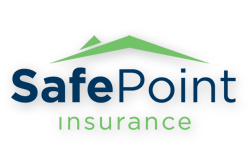 We are a Florida insurance agency providing auto insurance, home insurance, vacant home insurance, rental home insurance, motorcycle insurance, SR-22 insurance, FR-44 insurance, business insurance, boat insurance, commercial auto insurance, flood insurance and more. We represent quality A+ rated insurance companies like Travelers Insurance, Mercury insurance, Progressive Insurance, GMAC Insurance, Infinity Insurance, United P/C , Epic, Insurance, Florida Peninsula Insurance, American Integrity Insurance, American Strategic insurance, Foremost Insurance, Olympus Insurance, Cypress P/C Insurance, Avatar and more. Northside Insurance Agency searches out the best deals from many different insurance carriers. That's how we provide you with more options than the other agencies and online sources. For example, we will find you the best Florida auto insurance deal from among 12 major carriers. We also represent more than 25 Florida homeowners insurance companies. Our access to more carriers ensures that you will get the coverage you need at the best possible price. Let us protect what matters most to you!